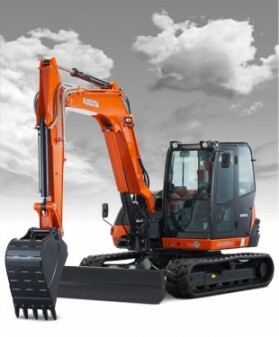 reduces harmful emissions to make the KX080-4 Tier IV compliant. retrieved for the next job. engine exceeds 1800 rpm to keep the muffler clean for longer operation.